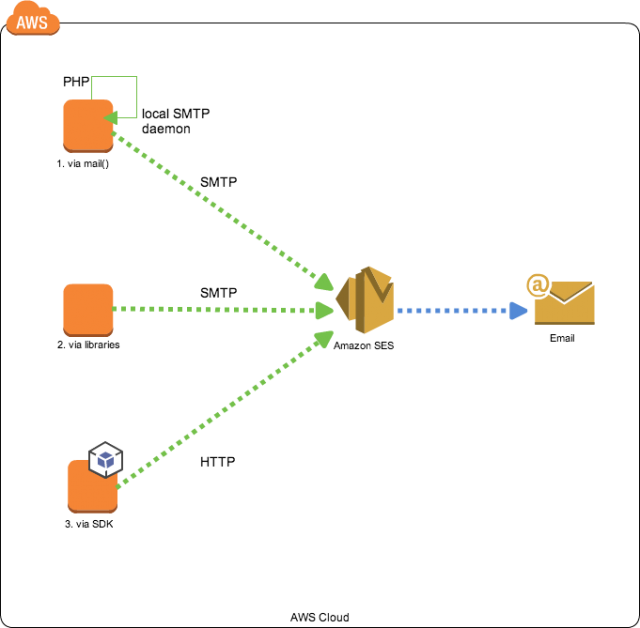 On the off chance that you find yourself using Amazon SES for sending active messages in a PHP web application, getting everything set up is much less complex than it may appear. For my situation, this was on an AWS Linux picture, however it will work on any CentOS AMI. All the programming languages provides functions for sending emails. PHP also provides mail() function to send emails. Some time you require to check that Amazon SES smtp authentication are working with your PHP or not then follow below steps it will help you to check the email service. Here you have to give Amazom SES SMTP credentials. Now create an simple sendmail.php script web document root or /var/www/html and add below content. You have to write your SMTP username at place of “Amazon SMTP Username” and SMTP password at “Amazon SMTP Password”. As well as your Amazon SES host. It will send email through validation.